Editor's Note: This piece was coauthored by Tim Graham. The Boy Scouts of America, or BSA, used to be derided as a "traditional, values-based" organization, whose oath spoke of a "duty to God" and whose law insisted the Scouts be "reverent." Now the BSA worships something else: corporate donations. It should have been expected after it folded on homosexual Scouts and then on homosexual scoutmasters. The statement acknowledged that for many years, the organization employed common sense. It said: "For more than 100 years, the Boy Scouts of America, along with schools, youth sports and other youth organizations, have ultimately deferred to the information on an individual's birth certificate to determine eligibility for our single-gender programs." But it's a new day, and biological reality is no longer relevant. What Pope Emeritus Benedict XVI called the "dictatorship of relativism" has overruled tradition. The organization continued, saying: "However, that approach is no longer sufficient as communities and state laws are interpreting gender identity differently, and these laws vary widely from state to state. Starting today, we will accept and register youth in the Cub and Boy Scout programs based on the gender identity indicated on the application." This was a joyous occasion for otherwise-depressed libertine leftists at the dawn of President Trump's administration. Singer Miley Cyrus found her happy place with this news. In a post on her Instagram, she said: "Let there be LIGHT!!!! There is so much devastating information filling our brain lately. ... We ARE moving forward! We'll never stop standing up for what is right! Change is here! We just have to create it!" Another former Disney Channel star, Joe Jonas, seconded that emotion, saying: "I was a Boy Scout growing up. Hearing the news today makes me proud." Homosexual celebrity lobbyists were delighted. "Welcoming Transgender Boy Scouts -- I'd say the Boy Scouts have come a long way baby," tweeted Martina Navratilova. "I call this progress," added Ellen DeGeneres. Then came the lightning bolts from the newspapers. The Washington Post editorial board welcomed this reform and hopes the reaction to it will show maturity and not dissent. It said: "The Scouts' relatively quick and decisive move on the transgender issue came more easily and quickly than previous reforms. 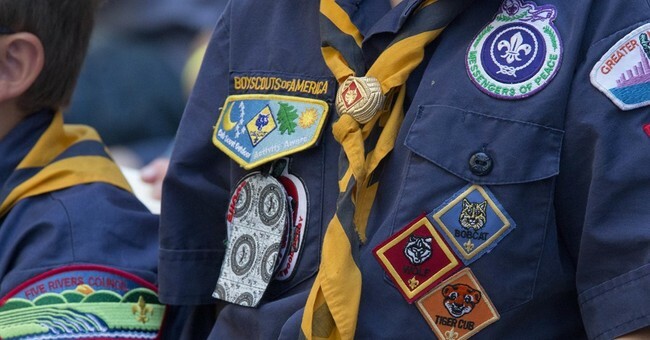 The Boy Scouts appear to have decided to rely on the goodwill of their participants to accept the decision with the maturity the organization preaches to Scouts." The New York Times editorial board, which has applied Jim Crow segregationist logic toward anyone who would deny the widest berth to gender fluidity, doubled down on being science deniers, saying: "The Boy Scouts are recognizing transgender boys for what they genuinely are: boys. This extends the organization's values and programs to a wider pool. It also may help a new generation of Americans think more rationally and compassionately about gender identity." Perhaps the next "reform" might be an 11-year-old Boy Scout declaring that he identifies as an Eagle Scout, negating the need for any stinking merit badges or review boards. Since relativism is king, who needs to earn or learn anything these days? Apparently the mission of all community organizations must be centered on "inclusion" and "welcoming," and everything else trails far behind.